Last weekend our friends, Addison and Landon, celebrated their second birthday at a kids playhouse. 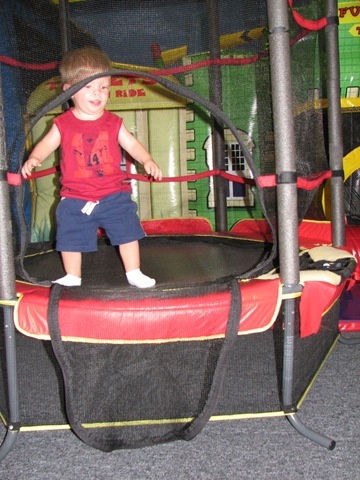 Lance like the individual trampoline, the coop cars and the kid sized bounce house maze (Daddy liked the maze too). 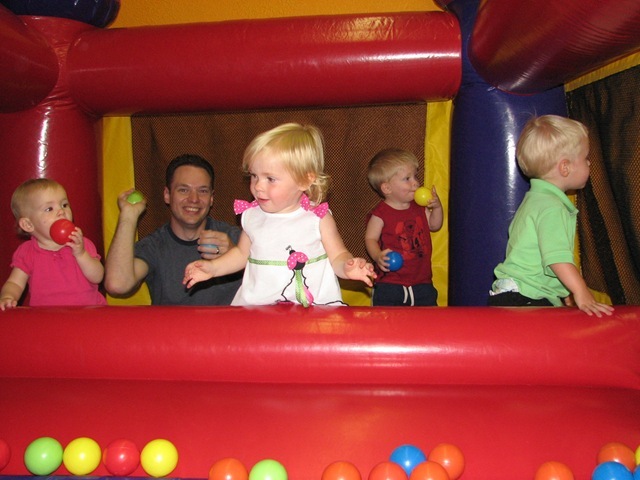 Daddy’s favorite was the ball pit – he had a regular war zone going in there; he and the kids against mommy. Lance liked this “do it yourself” roller coaster. He would ride the car down, jump off and push it back up the runway to ride again. 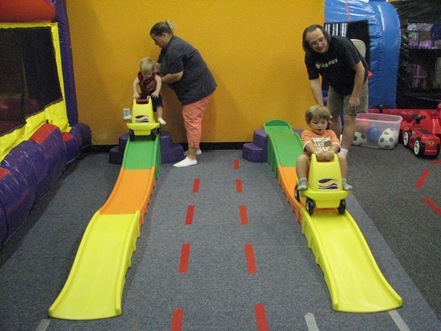 Ivy preferred a little more thrill to her ride – as long as daddy was holding her hand Mommy and Daddy think this would be a neat thing to have once they get a house.